Lone Star Supply Co. is a family owned business serving the industrial, petrochemical and manufacturing industries. Located in San Leon, TX, we have been providing exceptional customer service and quality materials to our customers since 1990. At Lone Star we always strive to give each customer the special attention you deserve. We stock a wide range of products, making it convenient for you to fill all your material requirements in one transaction. From pipe, valves and fittings to tubing, bolts and gaskets, we can offer you a turnkey purchasing experience. This cuts down on the hassle of having to deal with multiple vendors and shipments. It is our goal to make your job as easy as possible. 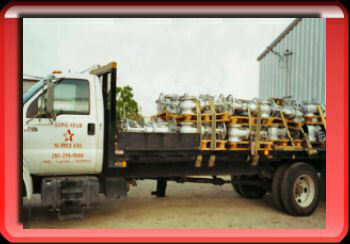 We ship material in the greater Houston area on our trucks at no extra charge. 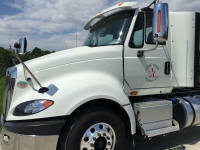 For our out of town customers, we can ship on your preferred carrier or we can ship PPA on our carrier of choice. With Lone Star, you can rest assured that your material will ship on time and that the items will be correct, giving you the peace of mind that your project will be on schedule. We will make sure you are completely satisfied with your experience doing business with Lone Star Supply Co. We want there to be no doubt that you will use us again for your material requirements and that you will also recommend us to your colleagues.